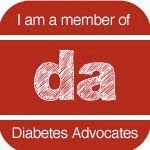 Texting My Pancreas: Giveaway: Lilly Diabetes/Disney Books and L.L. Bean Backpacks. Giveaway: Lilly Diabetes/Disney Books and L.L. Bean Backpacks. I have some things to give away! Lilly Diabetes sent me a big ol' box of neon green backpacks filled with their collaborative Lilly/Disney books and publications, and I'm splitting them up between you all and my local JDRF chapter (minus the one that my daughter gets to keep, because books). 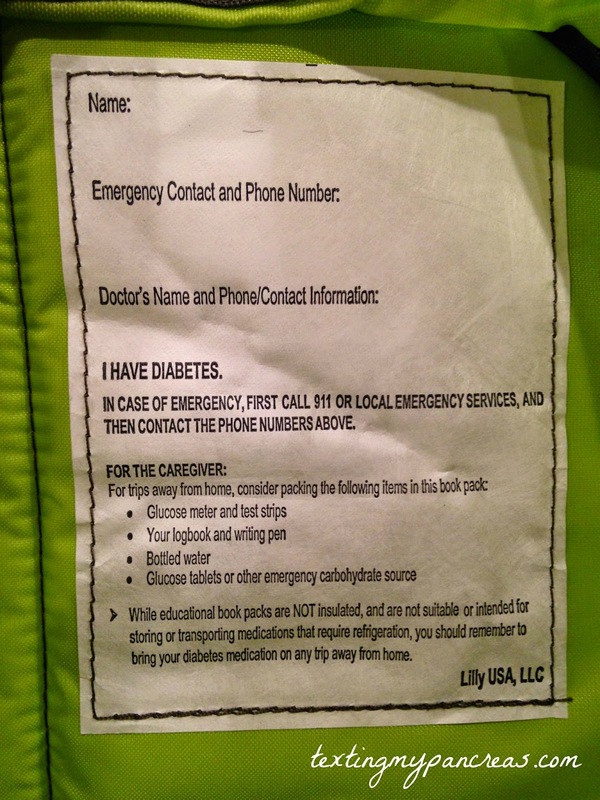 From Lilly Diabetes: "The durable, high quality backpacks are specially designed by Lilly Diabetes and L.L.Bean® with a customized emergency tag sewn inside." Descriptions of the included books can be found here: http://www.t1everydaymagic.com/lilly-and-disneys-type-1-diabetes-bookshelf/. So, interested? I'll pick 6 winners on Monday morning, so get your entries in before midnight (Central time) Sunday. To enter yourself to win, follow the directions in the Rafflecopter widget below. 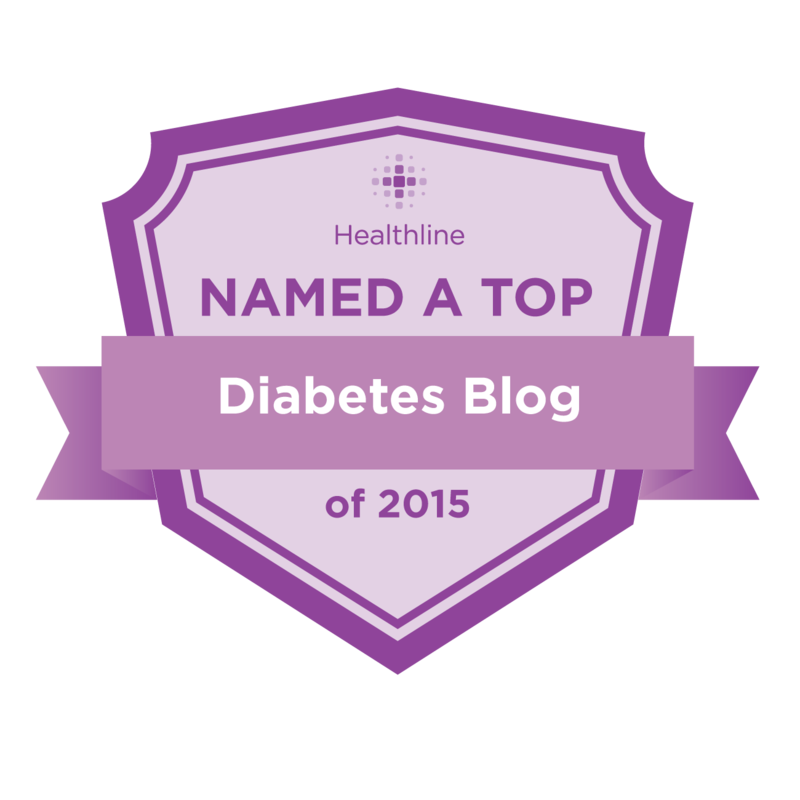 (Spoiler: you'll need to leave a comment on this blog post.) I can only ship to U.S. addresses, so keep that in mind. Sooooo cute! My son loves green and would love to wear this around! My son stuffs all of his treasures in my purse, so he would definitely put this backpack to work! 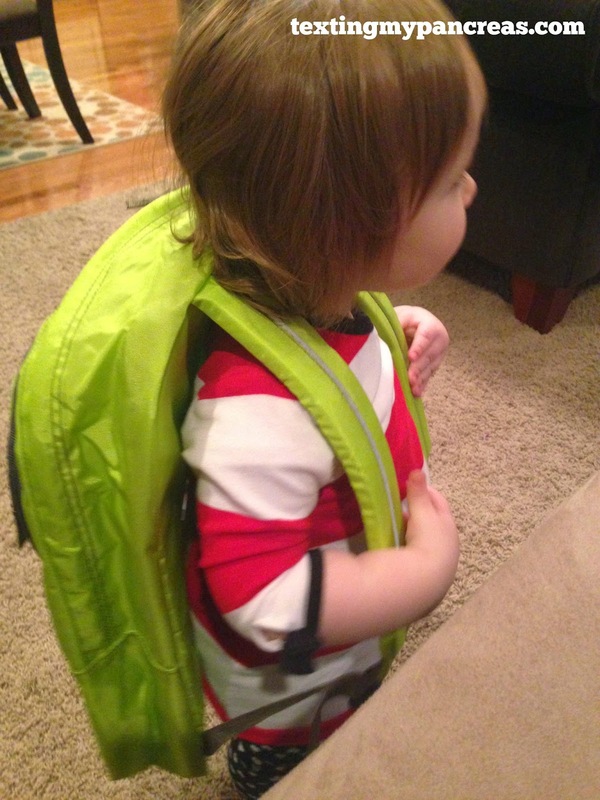 My daughter loves the color green and always loves getting new backpacks. Always on the lookout for a neat backpack for hauling all the T1D stuff around! My daughter would get great use out of this! And we love the color green! My son would love this! We read everyday and love our book collection! I loved that backpack! So cute!